What better opportunity to promote our smartWE and WEBAT service designed for the tourism industry that had already been so successful with INVAT.TUR! With a lot of enthusiasm and pride for having the chance to represent Spain in Chile, we decided to prepare the luggages and start the adventure for our first international experience. After a long trip, on Thursday September 6 we arrived in Santiago de Chile, we are greeted by a cool climate that makes us wake up from the spanish summer heat . The young and friendly staff of the CETURUNAB organization welcomes and accompanies us, making us forget the long flight and the climatic difference of this wonderful country in South America. However, we saw it as an opportunity to think and plan our future, with the goal of starting again in September stronger than ever, with an eye on 2019. In August we received an interesting proposal from the Tourism Technology Center of the Universidad Andrés Bello, through ITH (Technological Hotel Institute) as Mission to Chile of the Technological Companies of, among others, INVAT.TUR. 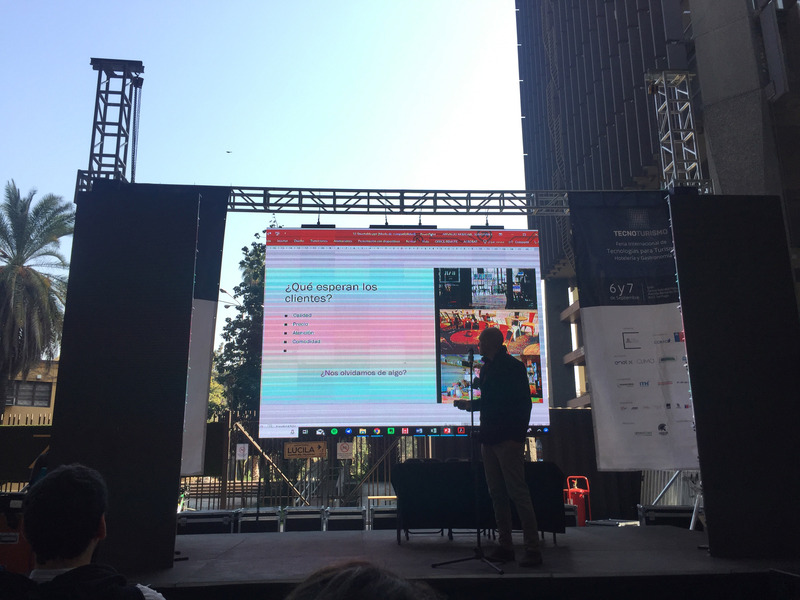 CETUR UNAB participated as an exhibitor in the first edition of Tecnoturismo Chile that took place at the GAM Cultural Center, located in the center of Santiago de Chile. The Technology Center of Tourism, CETUR UNAB, of the Andrés Bello University, is one of the 13 technology extension centers of CORFO. The objective is that companies from different industries in Chile improve their competitiveness by implementing technologies for their management. SPAIN is the first the country invited to TECNOTURISMO 2018. SPAIN has one of the most advanced ecosystems of innovation, technologies and services for tourism companies. It's the world second country for tourist visits. spanish companies providing technology services for the tourism industry have been located at ownstand. The positive responses for smartWE and WEBAT are not long in coming. Many companies got intrigued and interested in our innovative product. In the afternoon we received a prestigious invitation from the Spanish Ambassador Carlos Robles Fraga, who kindly invites us to participate along with other Spanish companies present at the event at the Spanish Embassy in Santiago de Chile. The welcome is warm and friendly and the ambassador is motivated to explain us how tourist economic sector works in Chile. 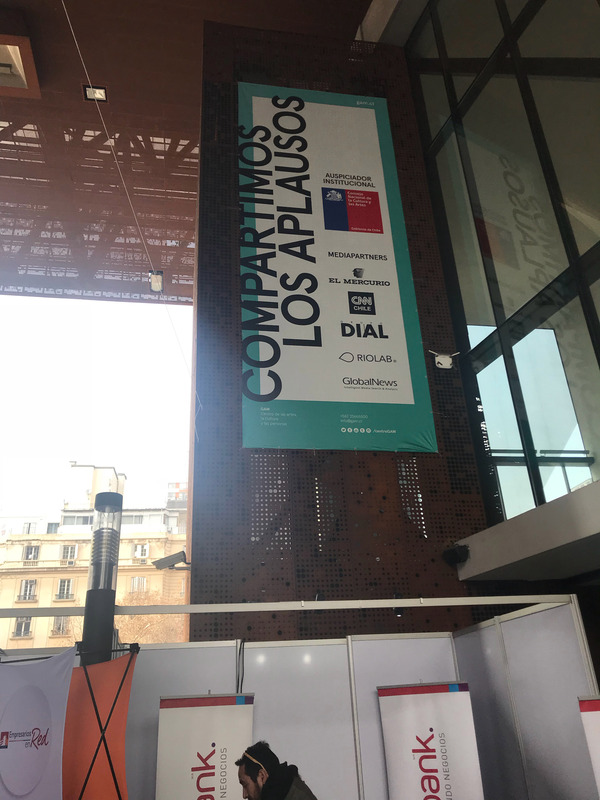 At this wonderful event we had the opportunity to meet and know better other participating Spanish companies. Back at the hotel we recharged the batteries for the public pitch takes place at central square auditorium of the GAM center on Friday 7 in the morning. During the pitch we showed our products and our company philosophy to other companies and organizations, we had the opportunity to learn about other realities and innovative products from the technological and tourism sector and develop future synergies with others companies. Friday night was the time to say goodbye and thank the organization and all the staff that helped us. We prepare to return home, with heavier luggage and with the knowledge that we can grow and be appreciated internationally, especially in Chile.